1-CD with 40-page booklet, 26 tracks, playing time 73:03 minutes. 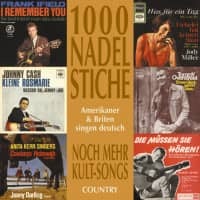 For the CD series '1000 Needlesticks' we have opened nearly all available style drawers in the already available episodes 1 to 11: Beat, country, twist, soul, 70s pop and so on. It was clear that sooner or later there would be a certain overlap with this procedure - something is either not quite enough for a complete CD, or something is always just a tick too extensive. But since we are dealing with music and not - for example - with pea-counting administrative acts, we can't (and don't want to) do anything else and therefore leave the famous Fivees straight. What I mean to say: As already in episode 11 ('Beat & Pop', BCD 16612), an acceptable mixing is unavoidable - in order to deliver, as in all previous editions, a product full to the brim and at the same time to bring as many sought-after rarities as possible to the fans. The original starting point for Vol. 12 was: Folk! 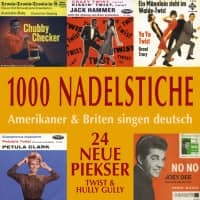 In the sixties and seventies, even from this stylistic corner, new attempts came to push through British and American artists with songs sung in German to make them popular in this country of ours. The bottom line was - as already mentioned above - what had to come: too little material for a full service ... On the other hand, there are overhangs from the pop department - rare, unreleased titles of the girl duo The Caravelles had turned up surprisingly; and where should you go with a Don Hill, what do we do with Shawn Elliott? The consequence: As with Vol. 11, we also offer slightly mixed things here, which - at least as far as perception is concerned - are soooo far from each other. Which also manifests itself, for example, in a British woman with a powerful voice: Her career origins even lay exactly in the folk area, from which she later moved away completely - with which the artist's run can begin. The border crosser we are talking about was born in 1939 as Mary O'Brien in London's Hampstead district. She was initially a member of the Lana Sisters before forming the folk trio The Springfields (and calling herself Dusty Springfield) with her brother Tom and Tim Feild. After all, five singles were on the UK hit lists until 1964, before the beat boom rolled everything down. Before that, however, a German-language EP was recorded. It is one of the most difficult to find rarities of the entire 'needle-prick' mist circle, it appeared in 1963 only in a mini edition - according to documents only 500 copies. This jewel was only sold in stores in the Federal Republic of Germany. The fact that all four included songs of the 'Extended Play' disc are presented here (CD world premiere! ), will finally complete the collections of many international Dusty fans. The German-speaking singles of the Castlegate Trio and the Blue Hill Boys are also extremely rare: Hardly anyone has ever heard of these bands, they don't appear in any books. Only the adventurous research for the Castlegates brought the surprise: Both formations are identical! The cast: W. Douglas Schellig (guitar, vocals) from New Baltimore, Michigan; Roger A. Curley (bass, vocals) from Columbus, Ohio and Walter Meier (guitar, banjo, vocals) from New York City. They were stationed in 1962 as US soldiers in Zweibrücken and played mainly in army clubs and schools where talent scouts became aware of them. Their original name - allegedly too heavy for German tongues - was changed to Blue Hill Boys by the record company and without the approval of the trio for Castlegate Trio's second single. In 1965 the army time was over and it went back to the USA. Meier fell seriously ill, which ended the career of the musicians immediately and forever. They never played a note together again! However, contact with each other still exists today, the three live again in Michigan, Ohio and New York. Peter Yarrow, Paul Stookey & Mary Travers, on the other hand, achieved world fame. Between 1962 and 1969 the Americans landed 19 US hits alone, dissolved shortly after, but came together again and again for comeback attempts. Their folk pop with polished vocal harmonies is an integral part of the genre's history, and many songs have developed into classics. 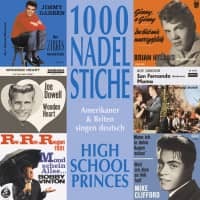 Also for fans of the trio there is a large portion of good & sought after on this CD: All three existing songs in German language are presented here for the first time on only one record! Additional bonus: Also the three solo runs of Peter Yarrow from the seventies - so far never on LP or even CD! - found room. Their compatriots, the New Christy Minstrels, were formed in 1961. Up to 12 musicians stood on stage and/or in the studio during their performances, the staff of the choir-like singing circle changed constantly. Later top stars such as Barry McGuire, Kim Carnes, Kenny Rogers, Gene Clark (Byrds) and Jerry Yester (Lovin' Spoonful) belonged to the company at different times. The ensemble was active until well into the 80s, but no longer played an exciting role in the first popularity league. The present recording, again a CD premiere, is the only one of the Minstrels in German language. The search for information about Don Hill was extremely difficult. First suppositions that it might be a German with an (easily pronounced) American pseudonym turned out to be wrong. Detailed biographical data could not be found, but Hill's landscape identity could be clarified with the help of the former 'Beat Club' host Dave Lee Travis. On the LP 'Dave Lee Travis Presents The Original Beat-Club' (Polydor 249 257; 1968) he announces the singer as follows: "Well, there he is, Mr. Don Hill, who is an American G.I. who is in Germany at the moment." Then Hill sings the English title Reminds Me You're Gone - the original version of his song Der Wind, der leis ein Lied singt, which is contained here in German version. Sure, just like you are my luck and sunshine, another CD premiere. (Note: Hill never appeared in the TV-'Beat-Club', but was nevertheless accommodated on the above mentioned LP). On the other hand, Don Paulin, born in 1929 as Donald Salkovitz in Philadelphia, was a frequent and welcome guest on German television. The part-time actor (among others with serial roles in 'Der Chef' and 'Kobra, übernehmen Sie!') also travelled the world as a folk singer. In Yugoslavia he met his later wife, a German language teacher from Meldorf in Schleswig-Holstein. Together with Bill Ramsey, Paulin presented and designed TV music series such as 'Show ohne Schuh' (NDR). Many of his songs were produced by Siegfried E. Loch (among others inventor of Star-Club Records) and arranged by jazz luminary Klaus Doldinger ('Das Boot'). 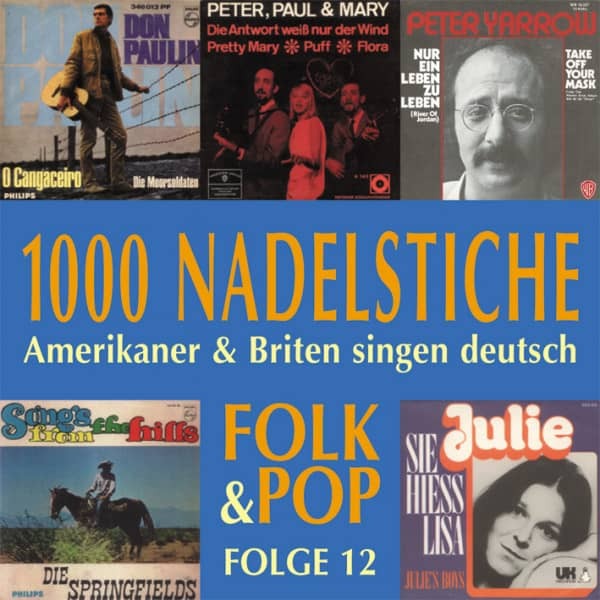 The Arlo Guthrie song Alice's Restaurant, presented here for the first time on CD in German language, was a single on both sides of the record; Paulins Moorsoldaten still get under the skin today. Julie (Felix; born 1938 in Santa Barbara, California) always stood in the shadow of her overpowering colleagues and competitors Joan Baez and Judy Collins. At the end of a trip to Europe in 1965, she moved to her adopted home in England - after stops in Greece, Spain, Italy, France and Germany (Munich). There she was broadcast two television shows and in 1970 she put two songs on the British charts. Her name was Lisa, the German version of the famous song by Jessi Colter/Waylon Jennings (I'm Not Lisa), celebrates its international CD premiere here. Already 13 years earlier an unusual title was created, which can hardly be classified stylistically - and which is based on concrete political events. (Miss) Toni Fisher (born 1931 in Los Angeles and later wife of the composer Wayne Shanklin; Chanson d'amour) had already recorded the US hits The Big Hurt and How Deep Is The Ocean when she returned to the billboard lists with West Of The Wall in 1962. 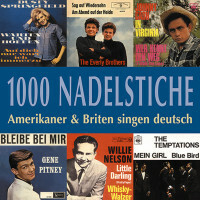 Unreleased worldwide until now, Fisher's German version of the sensitive Wall romance was found on an American master tape. Title according to Bandkarton: There in Berlin. The song (German lyricist: Bob Rei, a pseudonym for Hermann Lüth, 1921 - 1978) is registered with GEMA under the title Grüß mir Berlin (Greet me Berlin). With these words Fisher also begins her singing. A release on the local Heliodor label was possibly planned, it did not come about; only the original West Of The Wall appeared on 16 July 1962 with the catalogue number 453 125. Toni Fisher (the previously usual addition 'Miss' was missing on the single label) died on 12 February 1999 in Hyrum in the US state of Utah after a heart attack. "I am a black, Spanish Irishman," was how the singer and actor Shawn Elliott, born in New York in 1942, once described himself. Matilda and Denk daran are examples of his versatility - he had a big hit in the sixties with Shame And Scandal In The Family. Calypso records in France, musicals in the USA, TV guest appearances in the cult series 'Miami Vice', feature films: The artist who lived in Manhattan in the nineties has been around a lot. The two former English office workers Lois Wilkinson and Andrea Simpson from Sleaford and London were already on episode 10 of our CD series. Besides the two official Caravelles titles released on one single, we were able to find four (!) more songs in German language. Two of them (Georgia Boy and Love Comes and Love Goes) were produced by Paul Murphy in February 1965, but remained unreleased. The other two songs (I don't fall for that and Keine Rose blüht fürs Leben) followed already in July, this time Hans 'James' Last in the studio had composed the fingers on the controls and also the latter song. A catalogue number had already been assigned for this title combination (Polydor 52560) - yet again there was no publication. The four absentees can be heard here en bloc for the first time, the German recordings of the British duo are thus completely covered. (Note: Producer Paul Murphy can be heard as a singer under the pseudonyms Benny and Paul Rodgers on episodes 1 and 6 and 11 respectively). 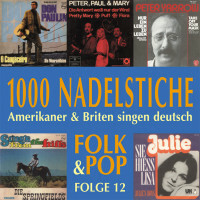 Customer evaluation for "Vol.12, Folk & Pop - Amerikaner & Briten singen deutsch (CD)"